We had a great time at Winter NAMM this year, and had the opportunity to show in person some of the exciting new developments that we have to offer now and in the coming months. We put together this recap to make sure you’re up to speed on everything. 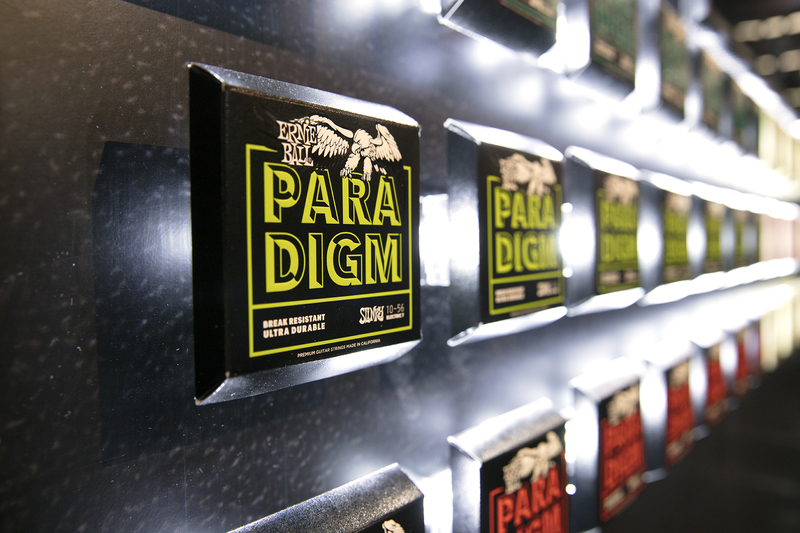 We officially unveiled our new Paradigm guitar string line on the opening day of the NAMM Show. 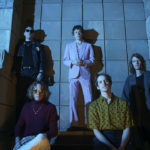 There was quite a bit of buzz in the air, and for good reason: Who guarantees their strings won’t break? We do. 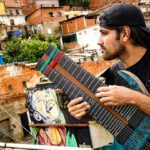 Paradigm strings are the world’s first guitar string to feature a fully-backed guarantee against breaking or rust. If they do within 90 days of purchase, we’ll replace them absolutely free. 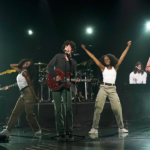 Paradigm will be available in a variety of gauges for electric, and the acoustic varieties will include both Phosphor Bronze as well as 80/20 Bronze. 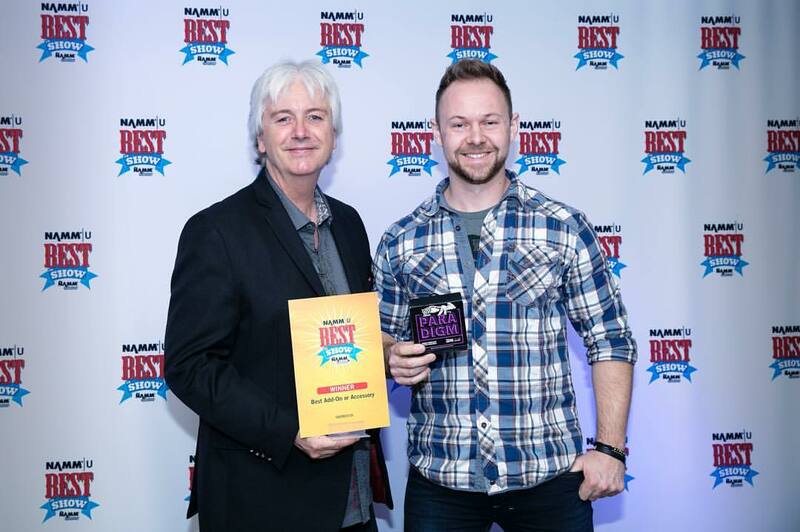 On the final day of this year’s Winter NAMM Show, we were honored to receive the “Best In Show” award for our Paradigm strings. We’re excited to get these strings into your hands, and we know you will be too. 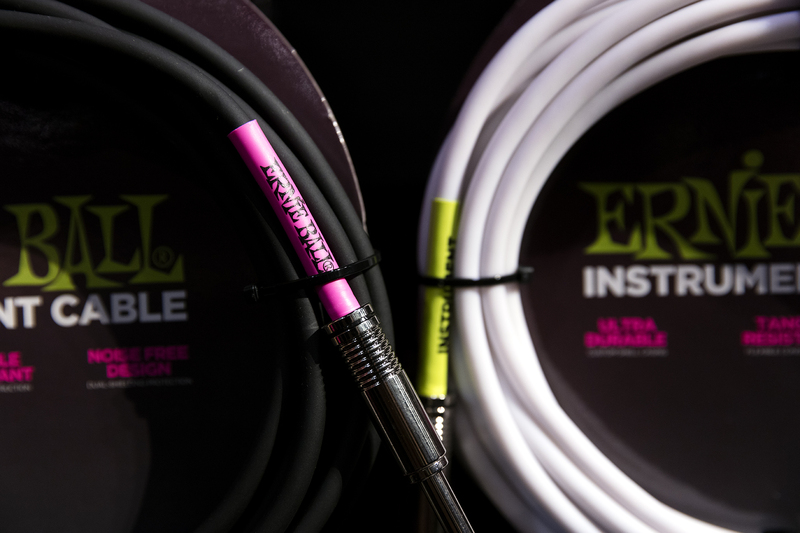 Our super flexible instrument cables saw quite a bit of use at NAMM, as they were plugged into each one of the Ernie Ball Music Man instrument stations set up in our booth. 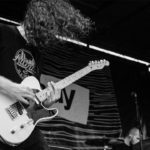 The patch cables connected each of the VP Jr., Expression Overdrive and Ambient Delay pedals set up for each instrument, and the 30′ coiled cables did a great job transmitting signal while providing the ability to move around without tangling. Our original PolyPro strap is one of the most widely-used straps in the music industry. 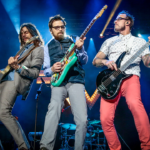 You can find them being used by amateurs and pros alike, whether onstage, in the studio or the living room. We’re introducing some new models aimed at both aesthetics and comfort. 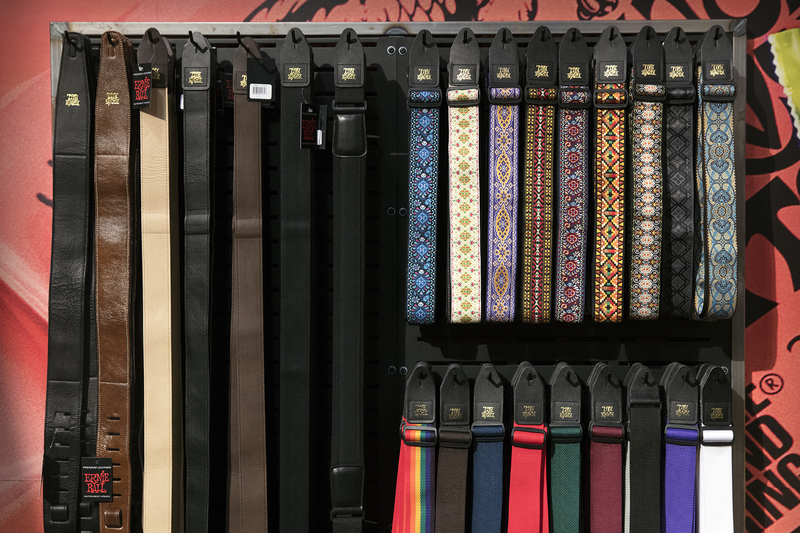 From bold new jacquard patterns to seat belt webbing and sherpa-lined Italian leather, these new straps have something to fit every player’s needs. 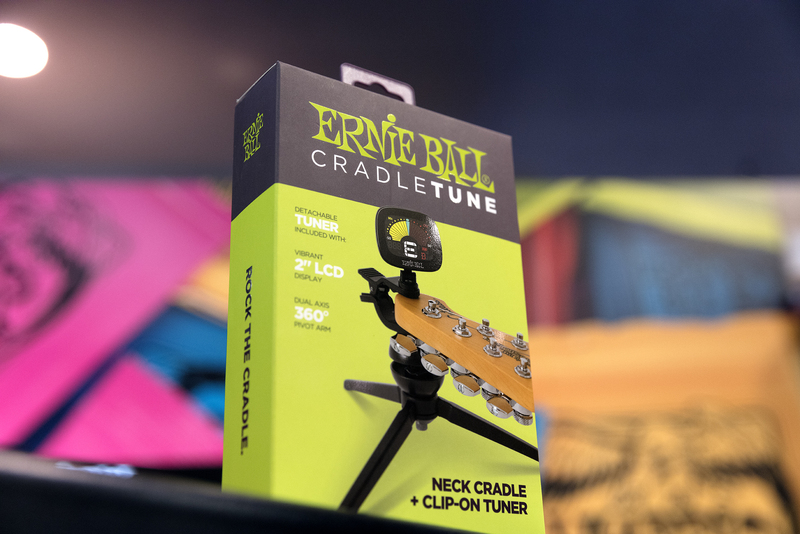 Designed to make string changes and other regular guitar maintenance a breeze, the CradleTune is a neck cradle with integrated, detachable clip-on tuner. Use with the neck cradle to create a workbench-like setup, or detach the tuner to throw in your gig bag so you’re always ready to rock. Coming soon, so stay tuned! I use the pink mine’sfair a long time my style of playing is bend and pull lol.if love to try them not to see if i can break them but to hear the tone.